For the past few years I have lessoned my consumption of sugary drinks, opting for water and fruit and veg juice instead. On the occasion when the food I’m eating warrants a Cola to be paired with, or a lucky little find of an interesting concoction…I go all in! When Butterscotch Root Beer screams your name from across the beverage section, I do come hither. Yes, Sucker. The Original, Dang! That’s Good brand, makes this rich flavorful drink that just makes you happy. 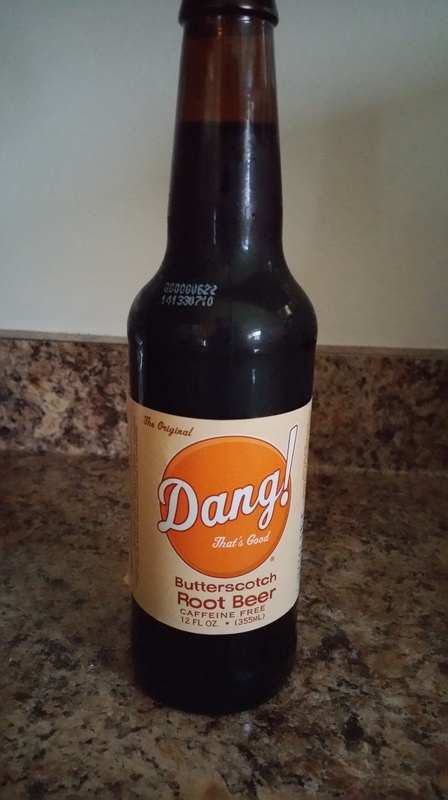 It’s smooth, not like some root beer that bites you back in the throat. It goes down easy. A delightful treat. Found at Woodman’s in Waukesha, WI…it is bottled is Milwaukee. This is the same grocery store and location I found my treasured childhood soda, Green River. Ahhhh, great memories. Food and drink can really take you back, can’t it? !